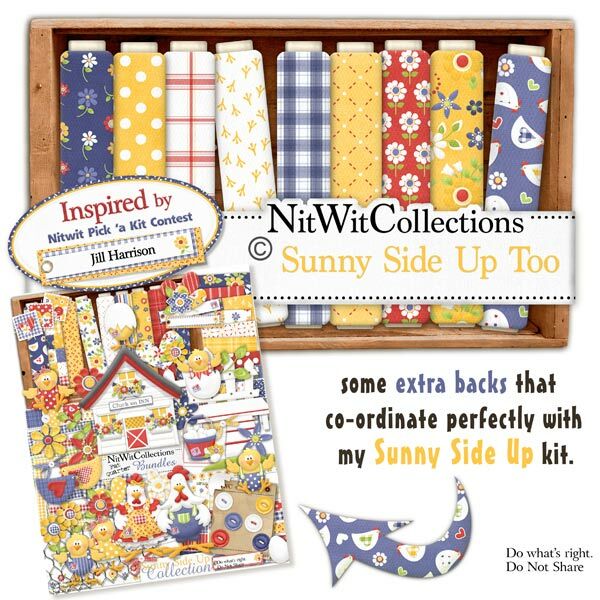 "Sunny Side Up" Too gives you more options for papers to create your digital scrapbooking layouts and cards with. Not everyone likes their eggs "sunny side up", I prefer scrambled, so why not have more choice? These digital background papers are NOT included in the FQB "Sunny Side Up" Collection, so please don't miss out! 15 digital background papers that coordinate and colour match my "Sunny Side Up" Collection.